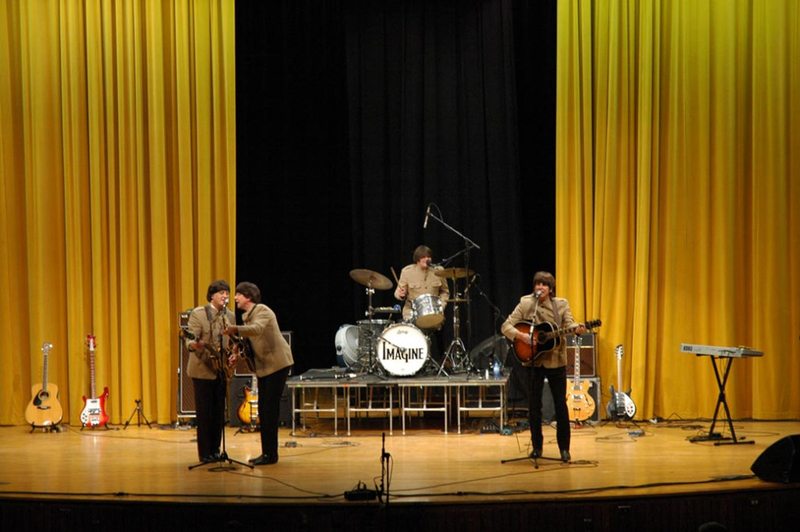 Take a nostalgic musical trip back to 1965 when “Remembering the Fab Four,” a Beatles’ tribute band, performs at the Geary Events Center on the Utah State University Eastern campus at 7 p.m. on Thursday, March 7. 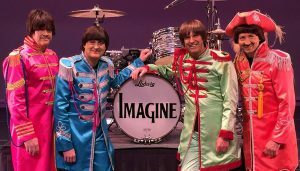 From their convincing Liverpudlian accents and Beatle’s wit to their pointed boots and totally fab gear, what you’ll experience during their show is pure magic. It’s like seeing the Beatles in concert for the first time. The Beatles were the sociological and cultural phenomenon of the ‘60s. They succeeded on so many levels as concert performers, recording artists, songwriters and actors. Their wit mesmerized audiences. 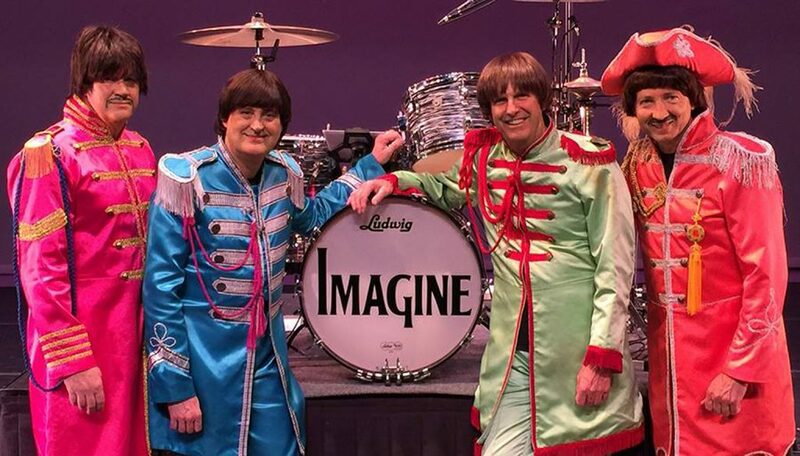 Never before had rock performers been so much more than rock performers and the tribute band continues to echo everything that made the Beatles who they were. 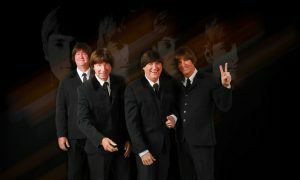 The “Remembering the Fab Four” guys joined in 1993 and performed over 900 shows throughout the world, playing and singing the No. 1 songs that topped every major Rock ‘n’ Roll list in the ‘60s and ‘70s. 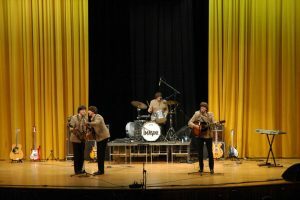 Songs like “Can’t Buy Me Love,” “Back in the USSR,” “I Want to Hold Your Hand” and “Let it Be” are part of the 30-plus medley of songs the band sings at each concert. 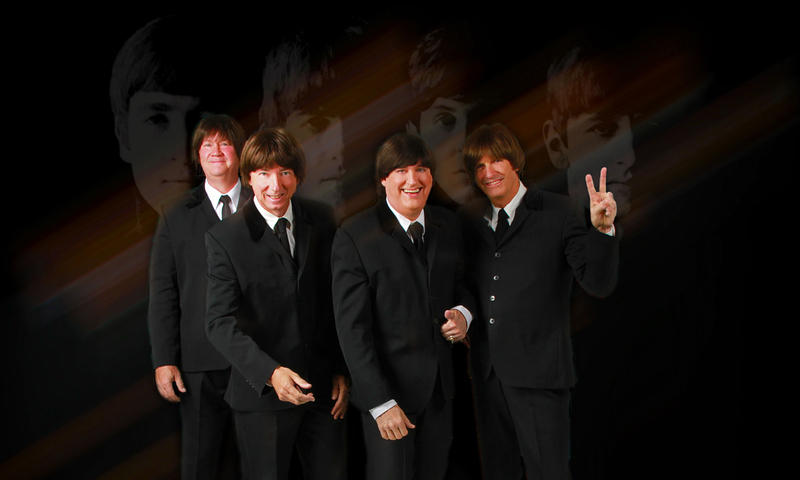 Over the years the Beatles’ tribute band has shared the stage with the Beach Boys, Jay Leno, Chicago, the Temptations, Badfinger, America, Glen Campbell, the Mandrells, the Shirelles and the Buckinghams. Among their highlights were performing at the Nokia Sugarbowl in New Orleans for a national TV audience, being the first act to perform at the 20,000-seat USANA amphitheater in Salt Lake City, Utah, and 21 shows at the Shanghai Music Festival. Beatlemania is truly alive and well on mainland China. The Fab Four includes Tom Coburn who plays John Lennon. Born in Manhattan Beach, California, Coburn was inspired at an early age when he saw the Beatles for the first time in 1964. “I found my purpose in life — to sing, play guitar, and make young birds scream. “It gave me vision,” he said. Since that time, he learned to play guitar, bass, harmonica, piano and sing. Richard Fazzi plays Paul McCartney. Fazzi was born and raised in San Jose, California, and as luck would have it, is a natural lefty. As is the case with so many other musicians, he was inspired by the four guys he watched perform on television that fateful Sunday evening in February 1964 when he watched the Beatles on The Ed Sullivan Show. Fazzi started with four years of formal guitar lessons and when he joined his first band, they had no bass player and nobody wanted to play bass so he said “Ok, I’ll try it.” After getting his first bass, it quickly became his first love. He wasn’t planning on doing any vocals, but again, no one else wanted to sing so he said, “Okay, I’ll try singing.” He has years of recording and touring experience playing different styles and been a member of several Beatles’ tribute bands. Brad Armstrong plays George Harrison. He has had a love for the music of the Beatles as long as he can remember, but it wasn’t until he was 16 and heard Sgt. Pepper through quality speakers that he was truly hooked. “I heard the bass in the song “Lucy in the Sky With Diamonds” and asked, “What is that instrument?” It wasn’t long after that he bought a bass guitar and joined a band. “My first paid gig was New Year’s Eve (in a bar) when I was 17. I had to get a letter from a council member in order to be there,” Armstrong said. Since then, he has performed with The Drifters, David LaFlame, Freddie “Boom-Boom” Cannon, The Coasters, The Crystals and the infamous Salt Lake area group, Spanky and The Wankers. Mark Robinette plays Ringo Starr. He began his musical career in San Jose, California, playing professionally at 14. His eclectic musical tastes motivated him to learn many instruments and many styles. He has played with the Mamas and Papas, Natalie Cole, Frankie Avalon, Bobby Vinton, Donny Osmond and the Temptations, to name a few. He has played with the touring casts of Broadway shows including Chicago, The King and I and Annie. His company, Accent Productions, produces entertainment events throughout the country, including the Orange Bowl halftime show in Miami. He is in demand as a music director, arranger, and teacher. The experience of studying Beatles songs note for note has given him great respect for the craft of songwriting. Tickets can be purchased online at usueastern.edu/imagine or at the door for $12 adults, $10 faculty, staff and seniors, $8 students and children 4 and over.